There are too many leaves in your walkway! 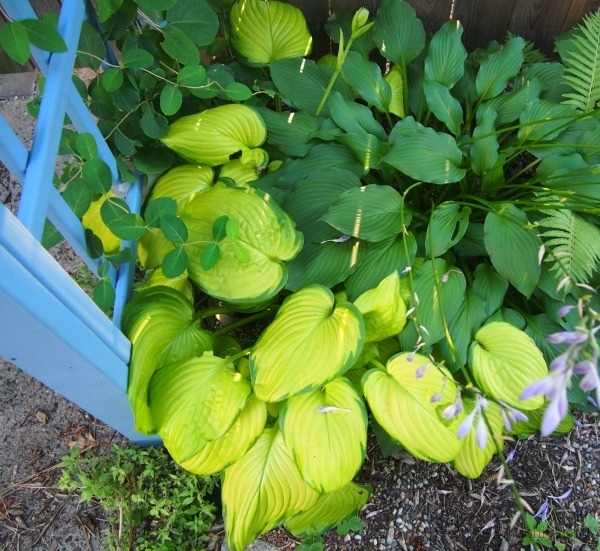 Hostas are ubiquitous in temperate zones for a reason — they are so dang easy. They are so easy that I actually hesitated to use them as part of the Good Easy Plants series as too easy. 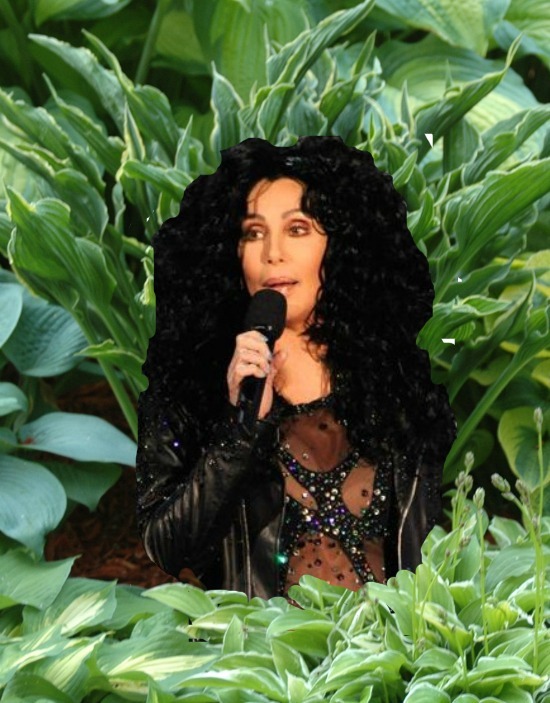 As a local gardener commented, after the apocalypse, the only things left standing will be hostas, cockroaches, and Cher. Hostas (also known as plaintain lilies, and why not?) do the heavy lifting in the shade garden, offering a range of sizes and foliage colors, with white-to-violet flowers on long, graceful scapes. Small variegated hostas next to larger solid hosta putting out scapes. Even though hostas are originally from Asia, they attract local wildlife, including butterflies and hummingbirds. 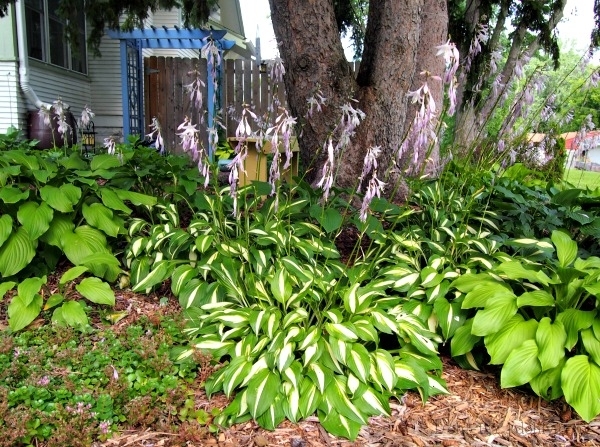 Unfortunately, though, hostas are toxic to dogs and cats. We have lots of dogs and cats around here, though, and I haven’t noticed any of them expressing the slightest interest in gnawing on a hosta. Nevertheless, it’s worth knowing. Most hosta types are hardy to Zone 3 (click for US and world maps) and some are good to go up to Zone 2. At the hot end, they are fine through Zone 8, but they do need a cold enough winter to go dormant as part of their life cycle. Once established, they are easy on water consumption. Hostas grow well in shade to part-shade, but some varieties are sun tolerant — my Royal Standard hostas thrive in over six hours of sun a day. 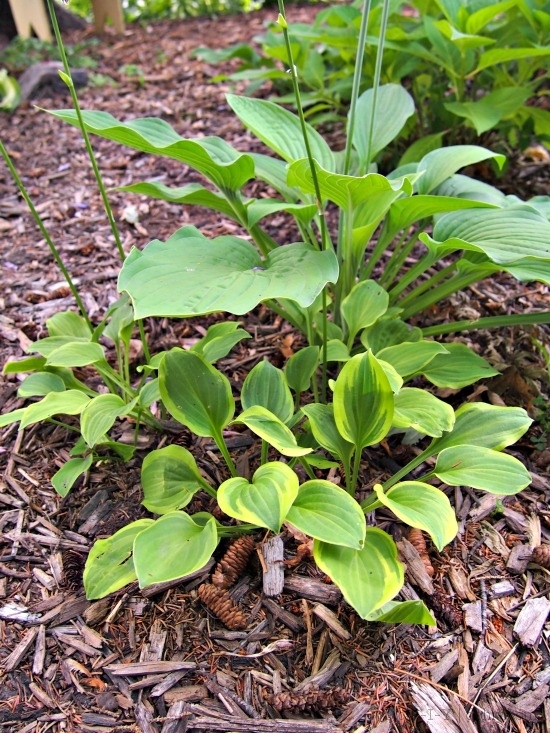 Check Craigslist and perennial exchanges for hostas — or just ask your friends. The plants are so prolific (but not invasive) that people often give their extras away, or sell them for next to nothing. And every three years or so, you can divide the ones you have and TA-DA! More hostas! 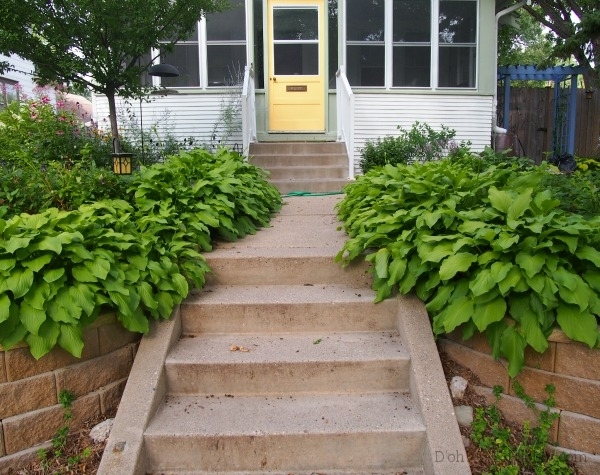 “Royal Standard” hostas leading to our door — border from an original set of eight plants. Some hosta fanciers pay premiums for special varieties, but even the most common hostas are great when massed together or used as a border. The leaves go from white to grey-green to blue to charteuse and emerald, with variegated blends adding to the choices. “Stained Glass” Hosta — one of the only fancy-pants hostas I have. Want other good easy plants? Check out weigela, catmint, gaillardia, and clematis. I’ve also featured landscape plant options used by Habitat for Humanity in 2013 and 2014. This entry was posted in American vs English, Yard & Garden and tagged cheap hostas, easy garden, easy hostas, easy plants, plaintain lilies. Bookmark the permalink.